After meeting seven years ago, tying the knot and getting pregnant, Justin and Alyssa Young were beyond excited to welcome their first child into the world. According to Alyssas doctors, their daughter who theyd already named Scarlett, was checking in perfectly fine at 19-weeks. Growing as planned and healthy as a button, Alyssa was relieved to know that her high-risk pregnancy was serving little Scarlett well, and that her cerebral palsy and type 2 diabetes were not causing any threat to her little angel. On September 28th I had routine ultrasound, Alyssa says. Scarlett was perfect. Weighing in at 14 ounces and heart rate of 131, she was so chunky and so perfect. I was 19 weeks 6 days and she was just my pride and joy. But shortly after leaving that doctors appointment, the mommy-to-be started experiencing unfamiliar pregnancy pains. Having just left the doctor who told her everything was perfect, Alyssa initially chalked the pains up to just simply being pregnant. Being pregnant, it is very hard to diagnose pains with everything physically changing. On Sunday, October 2, Alyssa was taken to the emergency room for the pain and some minor bleeding. 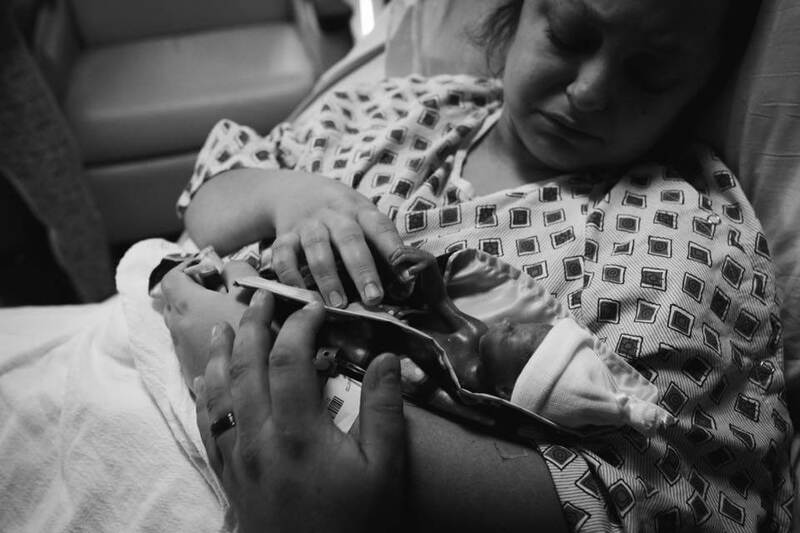 After running some tests, doctors told Alyssa that Scarlett was still perfect and they sent her and Justin home. My husband and I were so relieved. We thanked God our girl was fine. Perplexed as to why she was still experiencing these unbearable pregnancy pains, Alyssa called her Obstetrician again on Monday. I was told that everything I was experiencing was normal.Every doctor I had talked to so far didnt seem worried, so I had trusted in them. I knew everything was going to be fine. I prayed everything would be. I prayed harder than I ever have in my entire life. Doctors know a lot, but theres something to be said for a mothers instinct. Alyssa still felt like something was off, and on Monday afternoon, the couple rushed to the hospital. 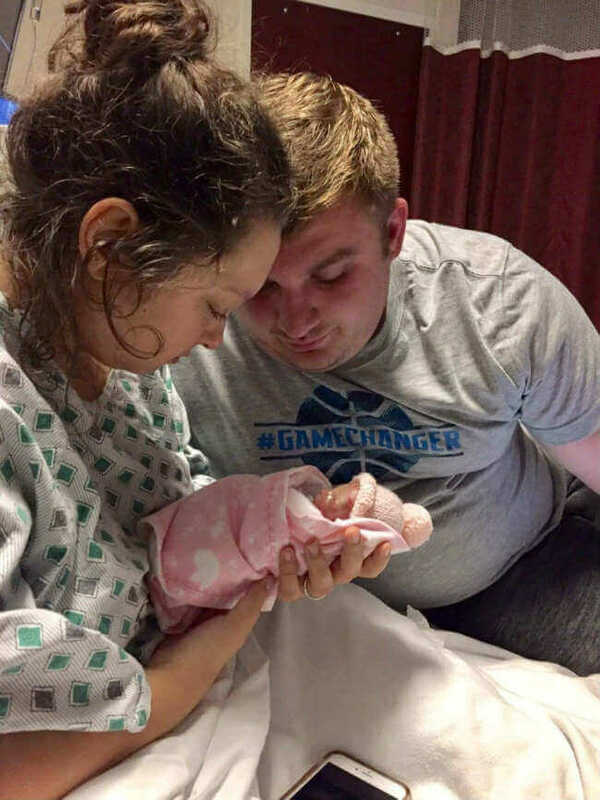 An exam was performed an Alyssa was diagnosed with incompetent cervix, which meant her cervix could no longer carry baby Scarlett. Had the condition been found earlier, a procedure could have corrected it, but by this point it was too late. 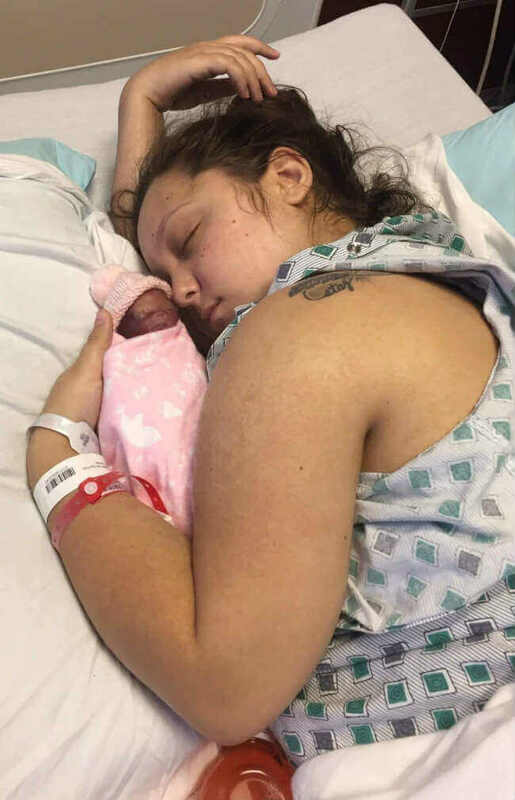 Alyssa was in labor, and despite being given medicine to stop the process, and being placed on bedrest, baby Scarlett was making her way into the world at just 20 weeks and five days gestation. The only good news was that their little girl remained perfect and healthy, and doing just fine through this process. Still, Justin and Alyssa knew Scarletts time on earth would be very very short. They were praying for a miracle. I dont really remember what time they came in to check on me, but I know it was early. The ultrasound showed I was dilated to 5 centimeters and Scarlett was basically on her way to meet usI felt like I had failed. I felt like I failed [my husband] and our daughter. All I could spit out was Im sorry. Im so sorry. I must have repeated that a dozen times. We both cried and prayed, prayed and cried. We called our family and close friends to tell them the news. We told them that itd be a good idea to come to the hospital. We were surrounded by so much love that day. So many prayers, and so much love filled that hospital room. As I held her, she gasped for breath. I told her that I was so sorry. I told her I loved her. I told her it was okay to let go. Seeing your child dying and knowing that there is nothing you can do to save them, its a terrible feeling. Youre helpless. Everyone took their turns and held her. Everyone got to love her. Thats all she ever experienced was love. Scarlett lived for two hours in the arms of people who adored her. 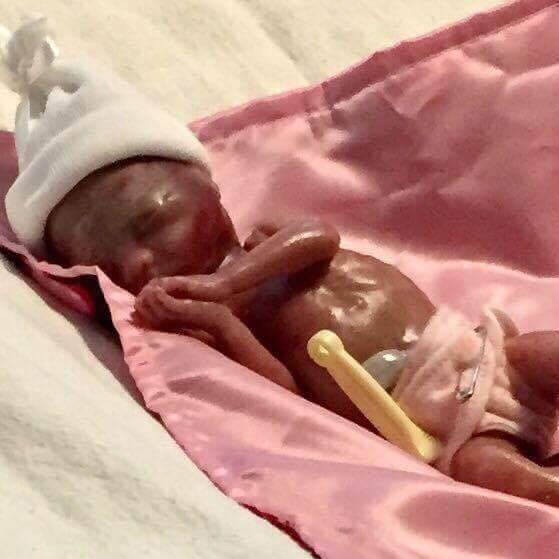 No matter how long or how short her time on earth was, baby Scarletts life mattered. And now Alyssa wants to give that short and sweet life an even bigger purpose by encouraging other women to speak out about miscarriage, stillbirth, infant loss and incompetent cervix awareness. Her hope is that through raising awareness of the condition, more mothers will be diagnosed early on, and have time to save their babies. All the praise for this brave and beautiful mama. Alyssas transparency, honesty and drive to press on is TRULYinspiring.